Every time a vocational rehabilitation (VR) counselor begins to work with a new consumer, he or she becomes a member of a new team, forming relationships and assuming new roles. 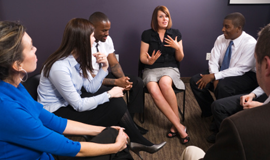 When counselors work with individuals who are hard of hearing or late deafened they face unique challenges in building relationships. Every person has the choice to be responsible for their own actions and reactions. Every person has a circle of influence – those things that are within their control. Behavior reflects personal beliefs and principles. Every person can change those things within their circle of influence if they choose. Communicate – Find out with the consumer what will work to best understand each other and follow the guidelines for effective communication. Communicate – Let supervisors and administrators know if consumers need accommodations to access the office. Communicate – Share information with consumers about their options, whether discussing coping strategies, technology, service providers or employment options. Communicate – Let consumers know where they stand in the VR process. Be very clear about expectations of each other. Communicate – Sometimes the most valuable service to a consumer is one that costs nothing. Information is power. Communicate – Counselors should ask for the kind of information that is needed from a vendor. Remember that the counselor is paying for a service and should purchase what they need, not just what the vendor chooses to give. ____ 1. I often provide consumers who are hard of hearing or late deafened with services other than a hearing aid. ____ 2. A high percentage of my consumers who are hard of hearing or late deafened require assistance with job placement. ____ 3. I often do a job site/task analysis to determine my consumer’s need for job accommodation/modification/ hearing assistive technology (HAT). ____ 4. I am familiar with hearing assistive technology, including assistive listening devices (ALDs), from which my consumers may be able to benefit. ____ 5. I explore possible existing job problems with consumers who come to VR already employed and requesting a hearing aid. ____ 6. I explore the extent to which my consumers who are hard of hearing and late deafened have accepted their hearing loss and how well they are coping with their personal and work environments. ____ 7. Our VR office is equipped with a personal amplification device or listening system (loop, FM, etc.) to encourage full participation of consumers and staff who are hard of hearing in one on one and in group situations. ____ 8. I discuss communication with my consumers who are hard of hearing and late deafened and make appropriate adjustments to accommodate their preferred style, mode or needs. ____ 9. I frequently check to be certain I am being understood completely by my consumers who are hard of hearing or late deafened. ____ 10. I assist work supervisors and work peers in facilitating effective communication with my consumers who are hard of hearing and late deafened. ____ 11. I provide counseling to my consumers regarding hearing aid expectations – prior to providing them. ____ 12. I explore the need for aural rehabilitation services. ____ 13. I counsel my consumers in techniques for handling stress and coping with people and situations made difficult by their hearing loss. ____ 14. I sometimes provide hearing aid replacements as post-employment services. 1. Hearing loss occurs on a continuum from most severe (persons with no useable hearing, who do not benefit from amplification) to least severe (mild hearing loss). If I can work successfully with people with the most severe loss, I can then work well with people with less severe hearing losses. Rather than thinking of hearing loss as occurring along a continuum from most to least severe, it is more profitable to think in terms of different groups of people, each with their unique set of problems and unique solutions. Each group will require different service strategies. Ability to work with one group does not guarantee ability to work effectively with the others. Think in terms of three main groupings of people who are hearing impaired: culturally Deaf, late–deafened and hard of hearing. 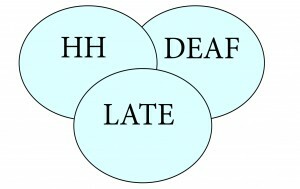 A diagram of these groups would show three overlapping circles in which the areas included in the overlap indicate shared problems related to hearing loss. The areas that do not overlap indicate issues and problems unique to each group. Working with each of these groups requires unique training and experience. Skill in working with one group will probably not transfer to the unique problems of the others. 2. People who are hard of hearing and late deafened can identify their employment related problems. Most people who are hard of hearing and late deafened are isolated from other people who have similar problems. They tend to minimize and/or hide their hearing loss, especially on the job. They are usually not in a position to learn about the nuances of hearing loss nor the technology and other supports available to help them to cope with their diminished ability to hear. The counselor cannot assume that consumers who are hard of hearing or late deafened know that personal or employment problems may be resultant of hearing loss related stresses. Counselors must know what questions to ask to elicit this information, and must know the full range of services that are available to modify the behavior, situation or environment. 3. People who are hard of hearing and late deafened know what hearing assistive technologies, including assistive listening devices, are available. 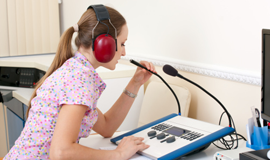 For the same reasons as stated above, in addition to the rapidly changing technology, most people who are hard of hearing and late deafened are not aware of the wide range of available hearing assistive technology that might help them. Even if they are familiar with assistive listening devices, they may not understand that they could benefit from them. 4. People who are hard of hearing know how to use hearing aids, assistive listening devices and other hearing assistive technology. Any kind of new technology is threatening to new users until they become comfortable with its use. User manuals are often complicated and not easily understood. 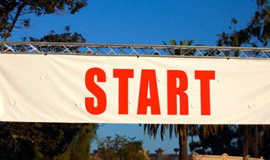 Few vendors provide counseling concerning the expected benefit the individual will receive. Many hearing aids and assistive listening devices are therefore purchased and not used at all, or, if used, not to the fullest benefit to the individual. 5. If the counselor understands the consumer who has a hearing loss, the consumer can also understand the counselor. Many people who are hard of hearing or late deafened, especially those with adult onset hearing loss, have very clear speech because the ability to speak was developed while they could still clearly monitor their own voice. Many people who are hard of hearing retain enough hearing to still be able to do this. It does not mean, however, that they are able to, through their ears, understand all or even much that a counselor is saying to them. It also does not mean that the consumer necessarily has a mild hearing loss. Many persons with severe hearing loss acquired later in life retain the ability to produce understandable speech. The counselor will need to initially discuss with the consumer how he or she communicates best with the counselor and make appropriate adaptations. In some cases an assistive listening device, such as an FM system or an induction loop, or writing (possibly on a computer) may be the consumer’s preference. 6. Vocational Rehabilitation generally meets the needs of consumers who are hard of hearing. Audits and other studies indicate that the primary service being provided to consumers who are hard of hearing is assistance in the purchase of a hearing aid. These cases come under fire because the consumer appears to only need a hearing aid, with no need for counseling or other services to be able to continue in employment. The consumer therefore appears not to be “significantly disabled”, and not in need of “substantial VR services”. Some of these cases are replacement hearing aid cases that have been previously served, and may have been better served under “post–employment services.” It is likely that many others are first–time hearing aid users who are in need of pre – and post- hearing aid provision counseling regarding hearing aid expectations and use on and off the job. It is also probable that personal and employment accommodations have not been explored, identified and dealt with and that many of these “easy hearing aid cases” were actually functionally significantly disabled, but not recognized as such.